If your legs are bruised up and full of scars or you have varicose veins, you may not feel comfortable wearing a short dress or even going to the beach in a bikini. The same case applies if your legs are showing spider veins. Varicose veins are large swollen blood vessels that appear close to the skin on the legs. Spider veins, on the other hand, are smaller blood vessels usually red or purple that are easy to see through the skin of the leg. Several reasons may lead to having either varicose veins or spider veins. One of such deductions is it may come as an occupational hazard. If your job involves standing for long hours such as that of hair stylists or nurses, you are prone to getting the condition. One quick and non-invasive solution that you should consider if you are looking to achieving natural glowing legs and gaining back the confidence you need to wear dresses is by trying a spider vein leg makeup. Here are the three best leg makeups that you can use to cover spider veins. The Covermark Leg Magic is a waterproof make up made primarily for the legs but can as well be used on the baby. The leg magic provides an adequate cover for stretch marks, tattoos, scars, varicose veins, surgical operations, birthmarks, and spider veins. The cover it provides is long lasting, with the ability to last for 24 hours continuously. The Covermark Leg Magic has undergone clinical tests revealing that it is hypoallergenic making it usable every day. It features an SPF of 16 that helps in protecting the skin from the UV rays of the sun. It is also a smudge proof as well as a sweat-proof foundation. The best way to use the concealer is by applying a small amount on the outer surface of your hand allowing it to gain your body temperature. Then, you can use either your fingers or a sponge to apply the foundation on the areas you want to cover. You should use only a light amount increasing the heaviness on areas that are severely affected. Let it rest for three minutes. The Sally Hansen Air Brush Legs Beige Glow is a lightweight leg makeup that comes with Palmaria Extract that helps in the covering of skin freckles, imperfections, and veins. The airbrush works in seconds leaving your legs looking flawless and irresistible. It does not leave the skin with streaks. The Sally Hansen Air Brush Legs Beige Glow is water resistant. It does not allow a transfer to your clothes after application. The spray stimulates the legs to improve on microcirculation of blood making the legs and feet to look firmer and healthier. It has a straightforward using procedure that anyone can follow. Shake the bottle well and spray the content into your hand and apply it on the legs. Dermablend was created in 1981 by a makeup artist and a dermatologist looking to provide a makeup solution that could work on all skin types. The makeup solution contains high-performance pigments and meets the standards of a dermatologist. The foundation can easily cover varicose veins, stretch marks, spider veins, scars, tattoos, bruise, age spots, and birthmarks. It is lightweight and blends very quickly on the skin. The formula leaves the skin feeling hydrated throughout the day. 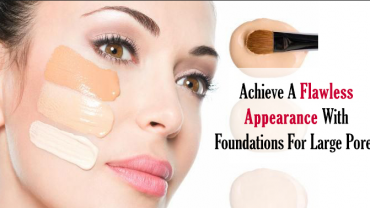 The foundation is made of a vegan formula with no ingredient from animals. It as well does not contain phthalates, sodium lauryl sulfate and triclosan. It can last for 16 hours without smudging or transferring to clothes. The Dermablend Leg and Body Makeup Foundation has 12 true-to tone different shades that can work on any skin types. It leaves behind an even and natural look. You do not have to feel uncomfortable wearing skirts or shorts, especially on summer due to the grim-looking spider veins, bruises and varicose veins on the legs. You may as well consider using one as a quick solution to cellulite. When choosing a leg makeup, always ensure that it can last for long without smudging or transferring. Additionally, it would be an added advantage if the leg makeup has SPF qualities, particularly above 15. 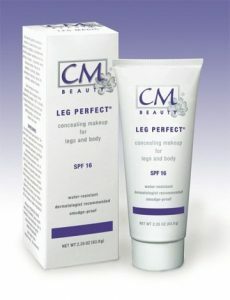 It ensures that not only do your legs look fabulous but they are as well safe from the sun’s UV rays. Just like any other body makeup, stay away from leg makeups that contain any chemicals. Instead of doing you well, they may end up causing more harm. By using one of the formulas on the list above, you are confident of your legs getting a natural and flawless glow. Theirinashayk is a participant in the Amazon Services LLC Associates Program, an affiliate advertising program designed to provide a means for sites to earn advertising fees by advertising and linking to Amazon.com. Additionally. The Irina Shayk Copyright © 2019.